The hunt is on to find fragments of a 55-foot meteor that bust through Earth’s atmosphere last week and broke up in the skies above Chelyabinsk, Russia. The meteor’s fiery explosion, which released more than 30 times the energy of the Hiroshima atomic bomb, produced a shockwave that shattered windows, knocked out power and injured more than 1,000 people. The strike has also set off a rush to recover pieces of the space rock, which could could be worth thousands of dollars each. School children and villagers are raking through snow and ice collecting bags full of stones, The New York Times’ Andrew E. Kramer reports. The meteorites — the part of a meteor that survives Earth’s atmosphere and ends up on land — peppered the snowy landscape with tiny holes that are easy to spot. The black pebbles hold the promise of the a better life for the residents of a struggling industrial city, who are making sure to keep their treasure well-guarded. Researchers from Ural Federal University in Yekaterinburg, Russia have found 53 fragments so far, ranging from .2 to .4 inches, The Wall Street Journal reports. No large pieces have been located yet. 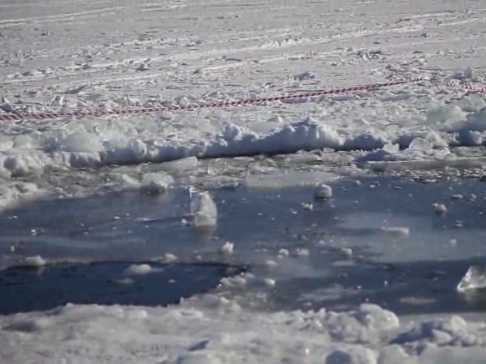 Divers also searched the bottom of a Russian lake for fragments, but didn’t find anything. Meteorites don’t just have a monetary value; they also provide valuable information about the origin of the meteor.